Visitors must be aware that local conditions vary throughout the country. Hotels in major centres are comfortable and modern while many rural hotels, roads and other services are simple and relatively basic. There are some extensive walks over rough terrain. Several areas visited are in the Andes (high altitude) and some travellers may experience discomfort from the altitude. This tour is best suited for people who are active, physically fit and who enjoy walking and hiking. Combining the indigenous population with the Spanish influences dating from the 16th century colonization, the mixture of African cultures brought by slavery and the more recent influx of immigrants, Colombia has become a melting pot of cultures and ethnicities. Over the past two decades Colombia has gone through dramatic changes, becoming one of South America’s most desired destinations. Today it enjoys a relaxed and safe environment, a delightful new destination for us to explore. With historic cities, the magnificent Andes, verdant countryside and the picturesque coffee region at its heart, Colombia provides a truly diverse landscape. 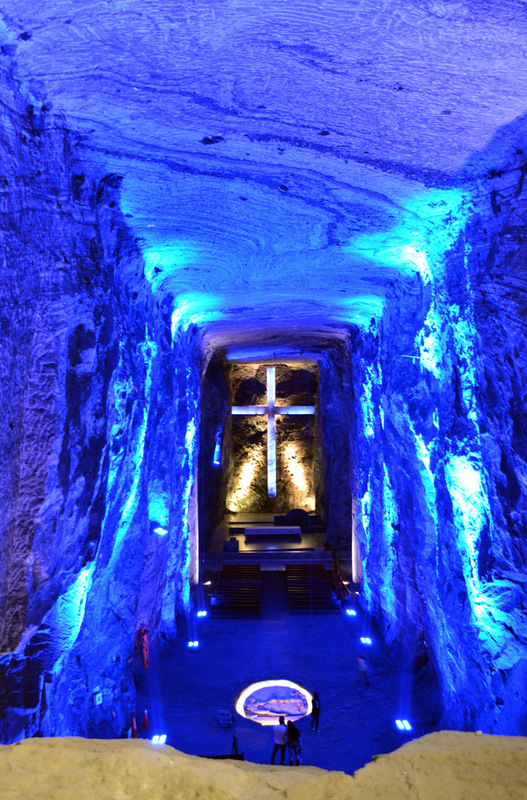 Starting in the Andean capital city of Bogota we visit the famous Gold Museum and the spectacular views from Monserrate. In the coffee region we will learn about the coffee process and experience rural life. Medellín offers a perfect climate and modern culture before we head to the coast and the Caribbean cities of Santa Marta and Cartagena. We shall stay multiple nights in most places visited using very comfortable boutique hotels and inns throughout, combined with short flights between most centres for ease of travel and comfort. We have selected a variety of unique and highly rated restaurants to sample Colombia’s cuisine. 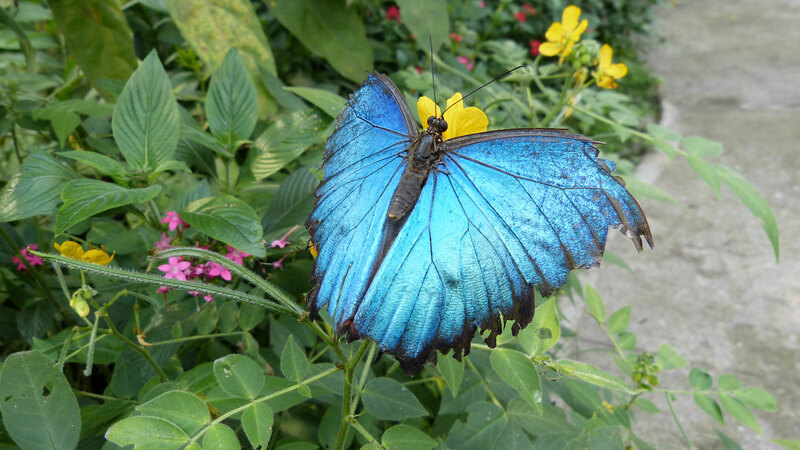 Join us as we discover Colombia: its history, culture, sites, people and so much more. Reforestation Contribution: By donation, included in the tour cost, each group member will provide 14 new trees which will be planted in Colombia. in Bogotá, we enjoy an afternoon at leisure. 35,000 pieces on display. After lunch we will visit the monastery of Monserrate. Perched atop a mountain at the city limits, this 17th century monastery provides spectacular views of the city and surrounding area. Cocora Valley, known as the valley of the palms, is one of Colombia’s greatest natural wonders. 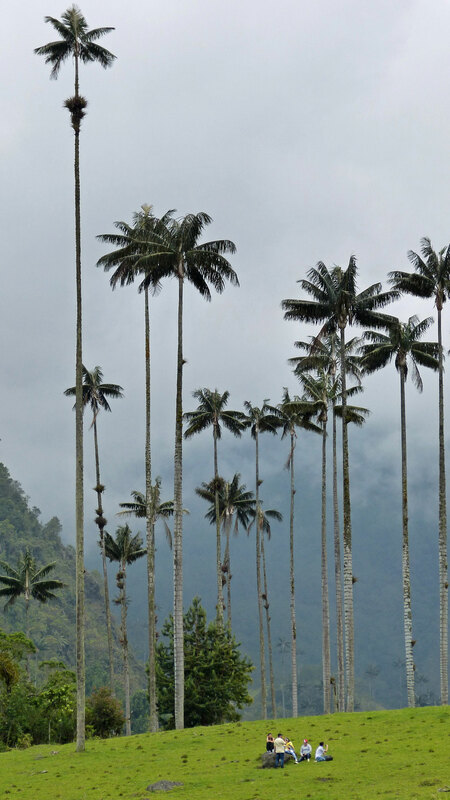 Surrounded by high mountains, the valley is home to hundreds of giant wax palm trees. The trees grow to over 60 metres in height and are the national plant of Colombia. Enjoy a short walk followed by free time to explore. After lunch we visit a local working coffee farm and plantation, learning about the process used to turn the simple coffee bean into one of the world’s most popular drinks. Enjoy a walk through the undulating grounds of the farm with its winding rows of plants. Continue to the old colonial town of Salento with its cobbled streets and quaint shops before we return to our country hotel. This morning enjoy a scenic drive via the town of Santa Rosa de Cabal into a dramatic mountain setting to enjoy two thermal spa complexes with time relax in the hot pools: Termales Santa Rosa and San Vicente, each situated below impressive waterfalls and each having a variety of thermal pools along with spa treatments. Later we continue to the city of Manizales, an area noted for its lush vegetation and extensive variety of birds. Our destination is the Finca Romelia, a working farm with more than 6,000 orchid plants, an interesting variety of carnivorous plants and around 160 species of wild birds. 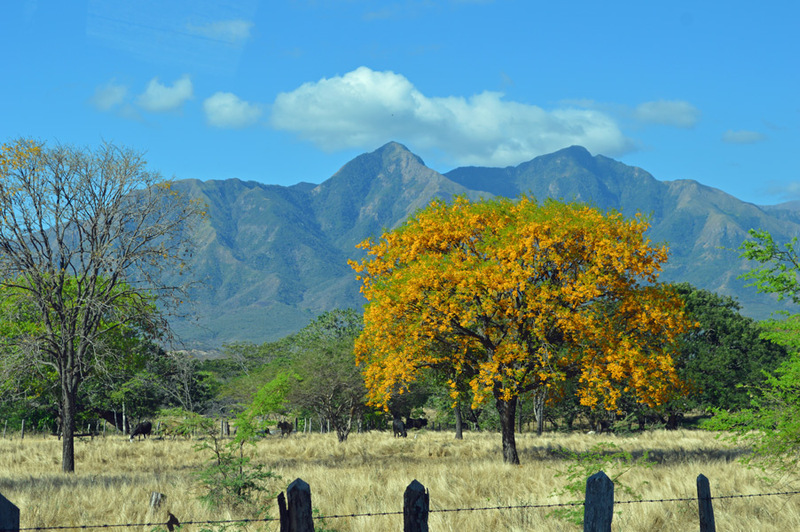 Enjoy an environment of temperate rainforests, delightful streams and rivers that lie between the mountains, and plantations of avocado, yuca and citrus crops. Santa Fe de Antioquia is a little village located west of Medellín and was the capital of the department of Antioquia until 1826. It is an UNESCO World Heritage Site thanks to the beautiful colonial architecture, with buildings dating back to the 17th century. 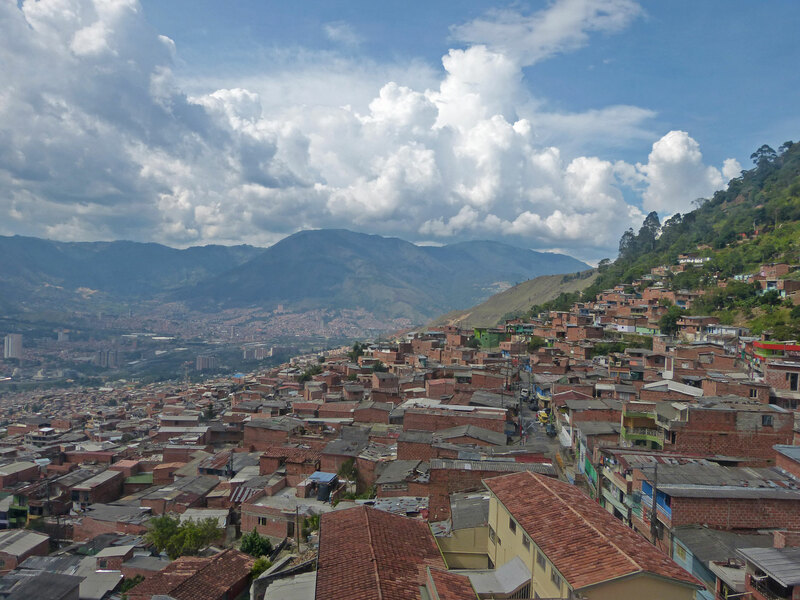 We return to Medellin in the early afternoon. There are many excellent restaurants just steps from our hotel to savour local cuisine. This morning we continue along the coast to Riohacha and the Flamingo Park, where we will go for short guided walk in search of birdlife. Those interested can take a canoe ride in the lagoon. Further along the coast, visit a Tocoromana community where we will meet with the Wayuu, the largest indigenous people in Colombia. Learn about their culture and traditions and enjoy a presentation of their ethnic dances and the opportunity to taste “el friche,” fried goat. Later, we return to our seaside hotel with time to relax. This morning we transfer to Neguanje Beach where we will take a boat ride along the coast to the crystal clear waters and white sands of Tayrona known as Playa Cristal. Tayrona is noted for its magnificent coastal scenery, clear waters, excellent surfing and swimming. We will spend much of the day here, including a special beach picnic, before we continue to Santa Marta. Our overnight will be at a brand new waterfront resort, located just a few minutes from the historic quarter, offering easy access to a wide variety of cafes and restaurants. Barajas, the massive fort that dominates the old town and the harbour. The Convento de la Popa, located on the highest point in the city, commands excellent views of the city, the bay, the harbour and the Caribbean Sea beyond. A free afternoon allows us to relax, to stroll the old quarter and to discover unique shopping opportunities. dishes. 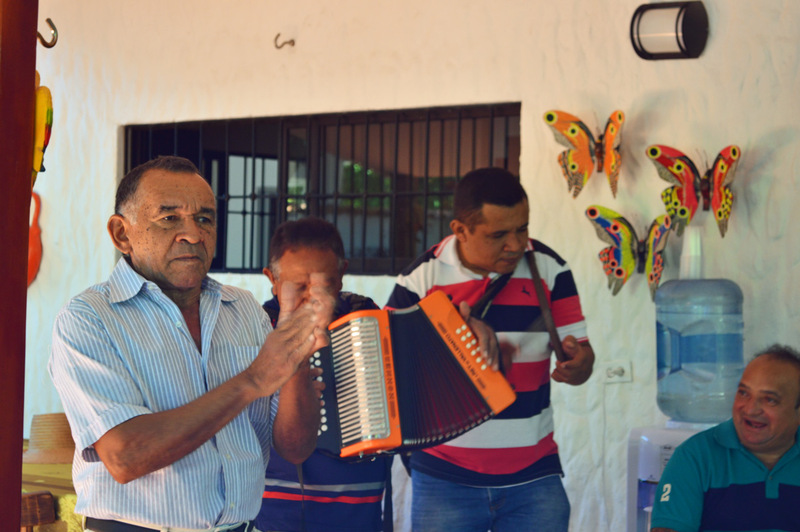 Alternatively, you can join an excursion to the UNESCO World Heritage Site of San Basilio de Palenque, where we will sample the food, enjoy the music and learn all about a people that lived here for some 400 years. This evening we gather for our special farewell dinner at El Santísimo. All too soon our Colombian adventure comes to an end. We fly home back to Canada via Bogotá. Very early this morning, we arrive in Toronto with connections to our homes across Canada. Tour price is based on sharing a twin-bedded room at hotels. Prices are based on a minimum 20 members and on rates, taxes and fees effective April 2018 and are subject to change due to factors beyond our control. 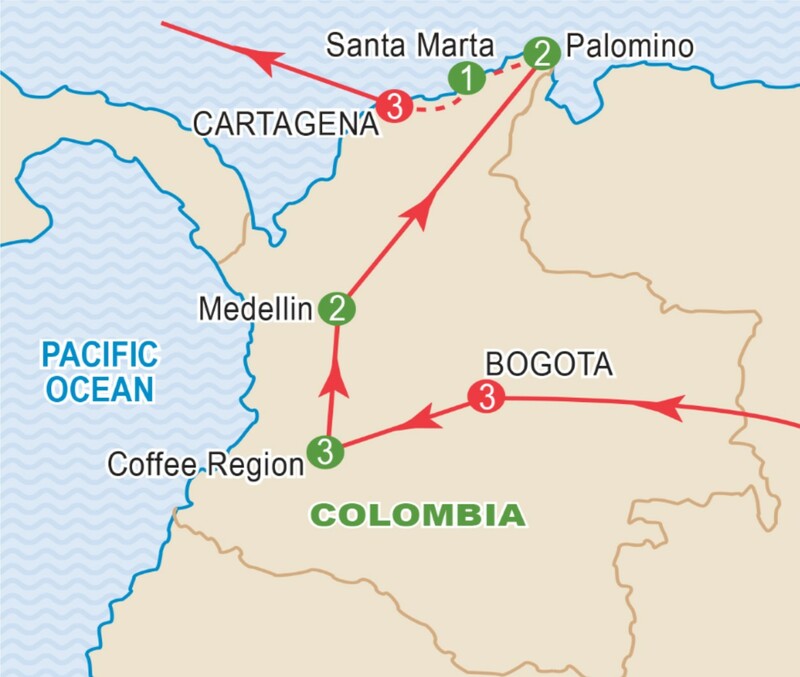 Colombia has imposed a reciprocity fee of approximately $77 CAD that is to be paid by on arrival. This fee is not included in the prices listed. All prices include internal flights. Airfares from other gateways are available on request. Airfares and air carriers are subject to change and will be confirmed prior to final payment. Refer to inclusive features for details. Prices DO NOT INCLUDE the cost of insurance which is available and is highly recommended. Premiums vary with the cost, length of the trip, and the traveller’s age. For passengers up to and including 74 years on departure date, premiums will range from $312 to $415 pp plus applicable taxes. Cost supplements for travellers aged 75-85 will range from $201 to $405 pp plus applicable taxes. This insurance is effective from the date of purchase and carries limitations on pre-existing medical conditions. Please discuss your insurance coverage prior to booking. Refer to our Terms and Conditions for more details.